Tell us a bit about you – what did you do before Network marketing; what else do you do as well as the company you are telling us about. Hi, I am Fiona, 34 years old from Scotland I work alongside Herbalife Nutrition helping people improve their nutrition, energy, offer help with weight management and sports performance. Outside of my work with Herbalife Nutrition I am a keen runner and have horses whom I showjump. My background is in accounting but I was never happy being stuck in the 9 to 5 role, a few years back I decided to become self employed offering accounting services – fast forward to now I have cut back on this to concentrate on my Herbalife business. How did you find out about your company and why did you decide to join? I decided to join Herbalife Nutrition after great product results. For years I had been struggling with my weight although I was very active. I approached my friend Jim for help, who explained I could not outrun a bad diet, I started on a Herbalife programme eating every few hours and within 8 weeks had lost two stone and lots of inches. 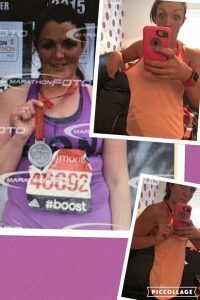 Most importantly I felt amazing with serious levels of energy – it was an absolute game changer for me. Working with Jim over the 8 weeks I started to see his involvement with the company and the potential to earn a good income. People started to notice my results quite quickly and I knew I need to join the business as I was simply attracting customers from my own results. Herbalife Nutrition has been on the go since 1980 helping improve nutrition around the world supplying weight management, targeted nutrition, energy, sports and fitness, and outer nutrition products. 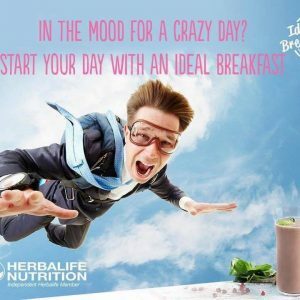 Recently Herbalife introduced the ideal breakfast which is starting your day with a breakfast shake and thermo tea (energy/fat burning), we offer interested people a 6 day no obligation trial pack to try the products, I am seeing fantastic results from clients in a short period of time following our ideal breakfast plan. What is your favourite product within your company, and what is so special about it? I have so many favourite products but the one I use the most daily is the thermo tea, it is a green and black tea which gives you energy, burns fat and obliterates your appetite. Tastes amazing and comes in original, raspberry, lemon and peach. Burning around 100 calories per cup. How do you spread the word about your company – do you do parties? Do you run stalls? Do you sell online? I’m sure you have heard people say before I don’t feel like I have to sell the products and I can honestly say this is true for me. I hate sales people and if I feel pressurised by anybody to buy anything I will walk away. For me I recommend the products, people see my results and I offer the no obligation 6 day trial pack. I also run shake parties which is a group of people coming together to try some of the products and find out more information about the products and the business. How do you fit this in with your family and other commitments? Being self employed I am lucky I can structure my day to suit myself, most mornings I start my day doing the horses and running with my dog then I will catch up with any accounts work I have to do then I can work on Herbalife. To get people started on the 6 day trial pack I have to catch up with them for 15 mins to run through the trial this is best in person but if distance is an issue this can be done over the phone. I either pop into clients home or invite them to mine. A lot of the time a 15 minute appointment can be meeting up with more than one person we call it meeting the family. I do feel this is a business you can work around a busy lifestyle/full time job. Do you receive a lot of training about your products and how to sell them? Tell us about the support you get from your upline. We have monthly training and online training, lucky for me I live 5 minutes away from my sponsor Jim who is a Presidents team member with Herbalife, he offers great support and is genuinely interested in helping his team achieve what he is achieved in the business. Unfortunately in network marketing you do get sponsors who are only interested in achieving results for their own interest. I do feel lucky in my team and wider team to have the support and guidance of selfless people. What’s the most fun thing about doing what you do? I love meeting other people and helping people feel better about themselves, I find it very social building my business and I have made some great friends along the way. As a Herbalife team we are very social with monthly get togethers and many of us keep fit together. Recently I have started a couch to 5k for customers to join in and start running, this has turned out to be a great fun group. If somebody wanted to join your company, how would they sign up and what advice would you give them? To join Herbalife as a member it is £37 which you also receive a free protein shake with, you then receive 25% off the products and this can increase to 50%. Quick sign up through a website link. Some people join my team to simply receive discount on the products or to run a business to earn additional or full time income. For whatever reason anybody decides to join this is fully respected and nobody is pushed to do anymore than they wish and will receive full support with either their products results or if they wish to build a successful business. I offer a 6 day no obligation trial if you are looking to improve energy, help with nutrition or weight management I would get you started on this pack, For anyone that is interested in the business and earning an additional income the first step would be to get them started on the 6 day trial pack as well to make sure they like the products as you cannot help others or promote products if you do not believe in them yourself. If you would like to receive regular news about MLM opportunities and regular tips for how to achieve the best success in your MLM business, please join the Mum’s the Boss MLM newsletter. You will receive a copy of my free report How to pick the best MLM company and make it work for you.